Should Maryland Adopt Blood Marijuana Limits For DWI? 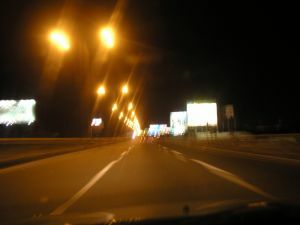 We have all heard of the term drunk driving, as DUI is one of the most common crimes in Maryland. In fact, DUI is one of the most common crimes in the entire country, as police make nearly 1.5 million DUI arrests per year in America. But what about drugged driving? Driving while under the influence of a drug such as marijuana is technically illegal in Maryland, but under Maryland law there are no definitive drug testing procedures for DUI. Under Maryland law you can be convicted of DWI with a blood alcohol concentration of .07 to .08, and for DUI with a blood alcohol concentration over .08. While these standardized numbers are somewhat arbitrary because everyone feels the effects of alcohol in different ways, the standardized numbers do provide at least the image of consistency and uniformity in DUI prosecutions. On the other hand, Maryland law does not indicate specific levels of drug concentration in the blood that would define driving while under the influence of drugs. If a police officer suspects someone is driving under the influence of drugs and not alcohol the officer can request the suspect to submit to a drug test. The question has been and will continue to be- what exactly do the results of a drug test tell us with respect to DWI? If a person is arrested for DWI and submits to a drug test a positive result will be used against that person in court, but that drug test really tells us very little about the person’s impairment at the time he or she was driving. Marijuana can stay in a person’s system for weeks, and thus a positive marijuana test would have little probative value in court and a huge prejudicial effect on the defendant. Even a positive cocaine test would offer little probative value in court, as cocaine can stay in the system for days. Why should a jury be entitled to see evidence that a DUI defendant tested positive for cocaine when the defendant took the cocaine 2 days prior to the DUI arrest? The same goes for prescription medications such as painkillers like oxycodone and Vicodin or anti anxiety pills like Xanax and Valium. At least one state is currently addressing this issue, as Colorado lawmakers are debating whether to pass a law that quantifies the amount of marijuana that a person can legally have in his or her blood in order to avoid a conviction for DUI. Colorado is currently one of 16 states plus Washington D.C. that allows medical marijuana. Maryland appears to be headed in the direction of legalizing medical marijuana, as lawmakers have recently decriminalized marijuana possession if a person provides proof of a medical need. Colorado lawmakers recently tried to pass a law that would set a marijuana blood limit for DUI at 5 nanograms of THC per milliliter of blood, similar to the laws currently in force in Ohio and Pennsylvania. The law failed to pass in Colorado, but as more states continue to legalize medical marijuana the debate will carry on. When Maryland decides to legalize medical marijuana this debate will undoubtedly reach the legislature’s floor in Annapolis. The Maryland legislature should look at a proposed marijuana blood limit for DUI with extreme scrutiny. A marijuana blood limit would present serious constitutional issues, as well as produce questionable beneficial results. To obtain an accurate blood marijuana level, you currently need to actually test a person’s blood. Blood testing is an extreme invasion of privacy, and is currently only required in DUI cases involving serious injury or death. Urine tests are much less invasive, but are simply not an accurate method of measuring blood marijuana levels. The Maryland legislature would have to come up with a plan that would balance a person’s privacy interest with the public safety interest, and we are a long way from testing technology that would accommodate this balance. 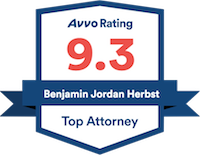 Benjamin Herbst is a Maryland DUI lawyer, and a Maryland marijuana lawyer at The Herbst Firm. The Herbst Firm’s Maryland criminal lawyers are available 24 hours a day for a free consultation. Blood standard for driving under influence of marijuana rejected for 3rd time in Colorado, washingtonpost.com.